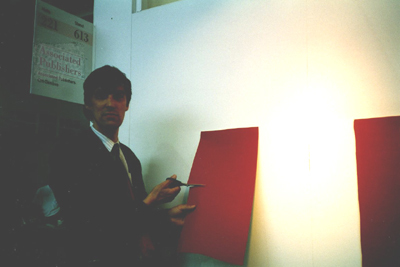 In 1992 John M Armleder proposed several gallerists to show together multiples at the Basel Art Fair under the name Associated Publishers. Participating publishers were Daniel Buchholz, Cologne / Ecart, Geneva / Gallery John Gibson, New York / Galerie van Gelder, Amsterdam / Daniel Newburg, New York and Caroline Nitsch Editions, New York. Gallery John Gibson showed a 10 meters long rolled up canvas originally rejected by Olivier Mosset. 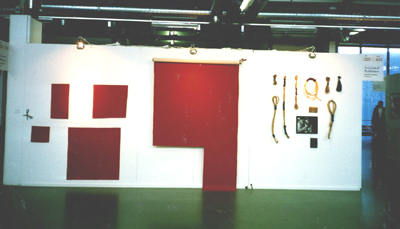 For the Art Basel Editions 1992 he proposed to revive this painting by adding a pair of scissors to the roll of red painted canvas. This was meant for buyers to cut out a piece of a square foot or larger. A signed certificate with a chosen size was added to each purchase. 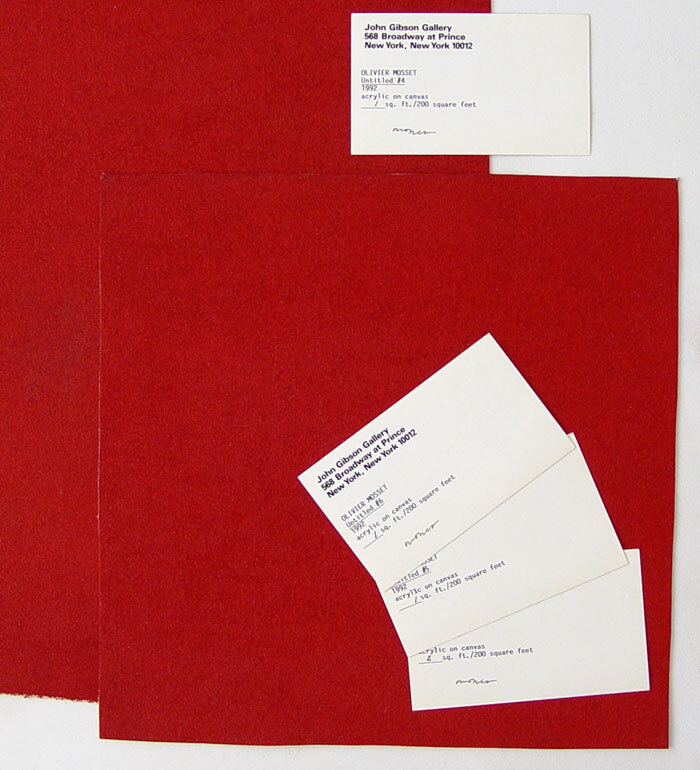 During the Art Basel art fair no visitor bought a piece of the edition and at the end of the art fair Kees van Gelder and John Gibson swapped an edition with each other. 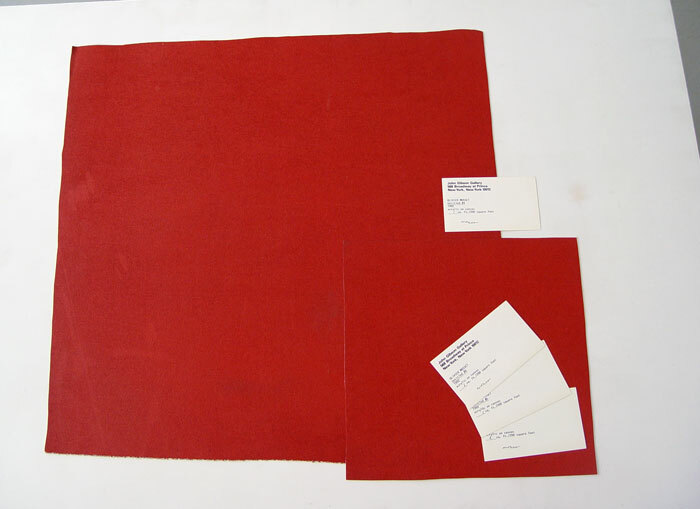 After the fair the roll of canvas and samples got lost and until today Olivier Mosset has never seen it again. This makes the set pictured above into an unique piece that originally was meant as an edition.